Price: ₹ 32.79 Lac Price: ₹ 3603.3 /Sq. 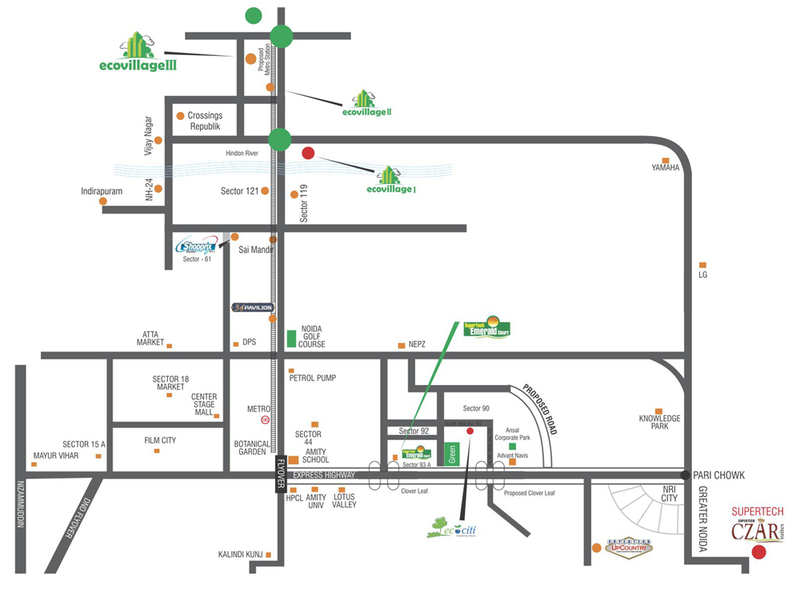 ft.
Supertech Eco Village 3 in noida extension With people choosing Noida as a destination to enter in North India market, because Noida has a potential, as it is rich in greenery and the beauty is loaded with world class infrastructure. The definition of quality living has changed. After providing quality housing to many people, eco village has expanded commitment for housing. 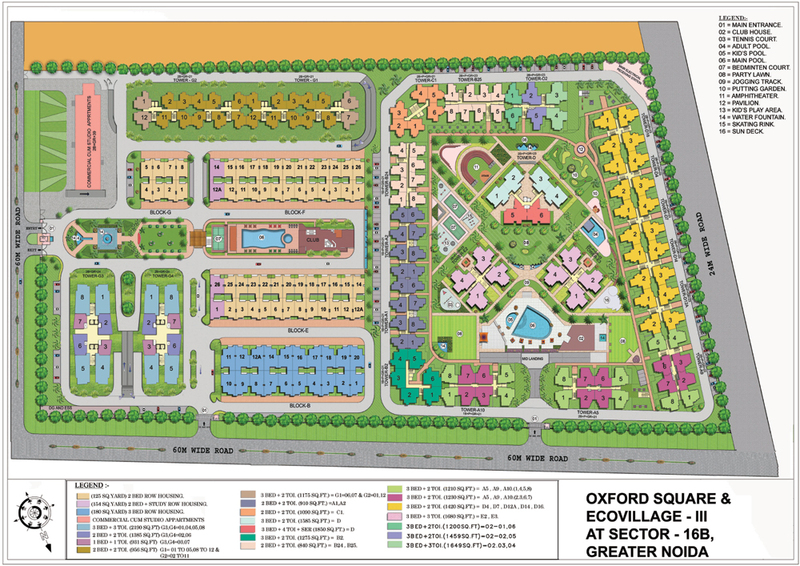 Eco village-3 provides a high quality lifestyle with pocket friendly cost. The facilities available at Eco-village are a township that takes comfort to another level. The township has numerous facilities like health club, swimming pools, sports facilities, departmental store, laundry service and beauty salon catering to all the needs of people under one roof. The township makes provides you with an elite class of lifestyle. One can own a beach house and enjoy parties at artificial beach side. The residential projects are equipped with modern amenities making it a paradise by satisfying the demands of new age family. With beautiful locations around the developers gives you a choice of lifestyle with unlimited luxuries. Features: The dining room comes with almost the same features like other rooms and the internal door has a flash shutter with a wooden frame. The toilets are made of ceramic tiles of 7 inches height. 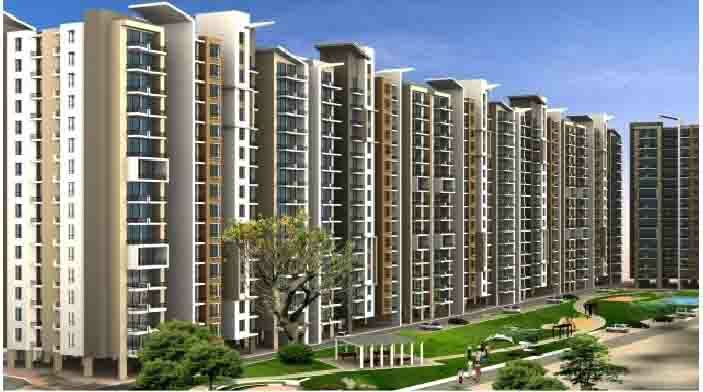 The elite class of Noida and other cities are spending a lot on quality living. 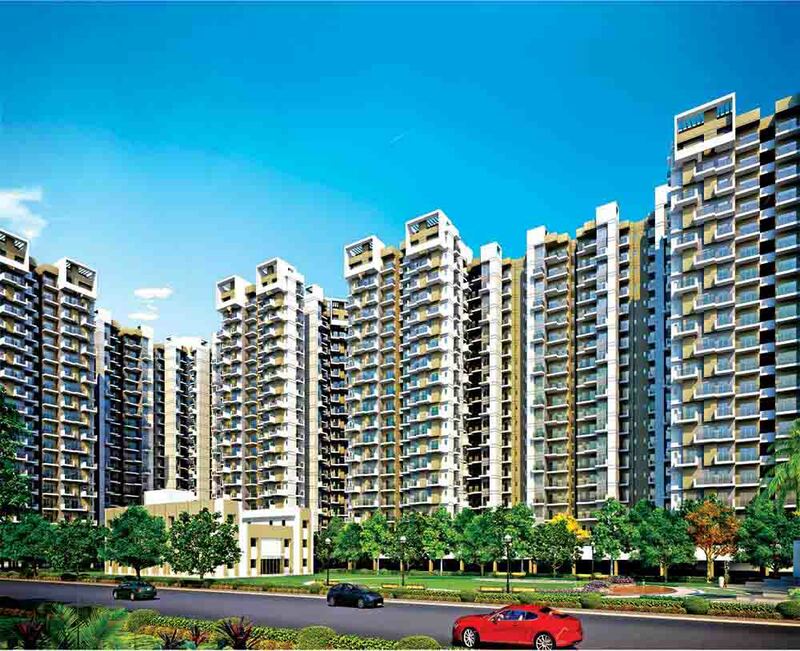 Noida is transforming into a hub of high end projects by giving competition to other cities.